Our program serves children ages three and four. 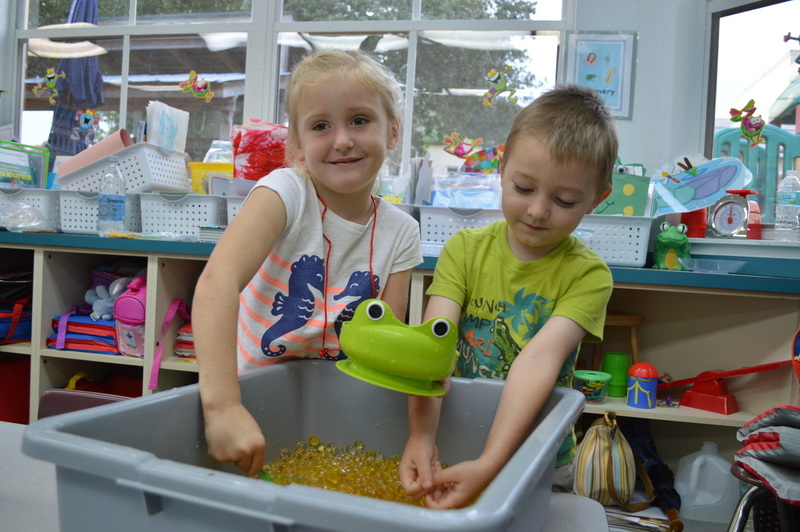 Our qualified Pre-K staff provides a safe and happy learning environment so your child's days may be filled with the joy of discovery and learning. 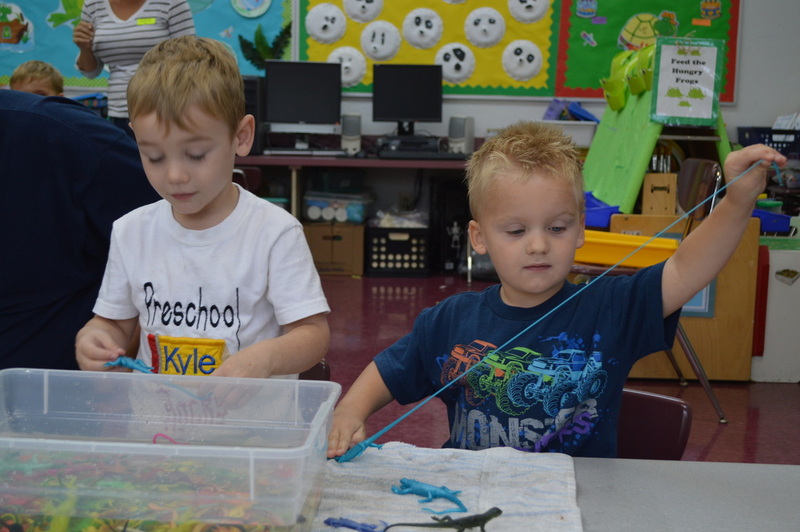 Click here for the Pre-K Classroom website and newsletters. 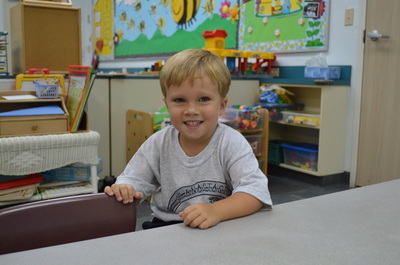 Young children gradually grow in readiness for schooling. 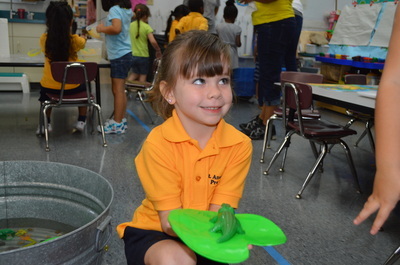 Curiosity makes them eager to know and learn, and their exploration of the world raises many questions! 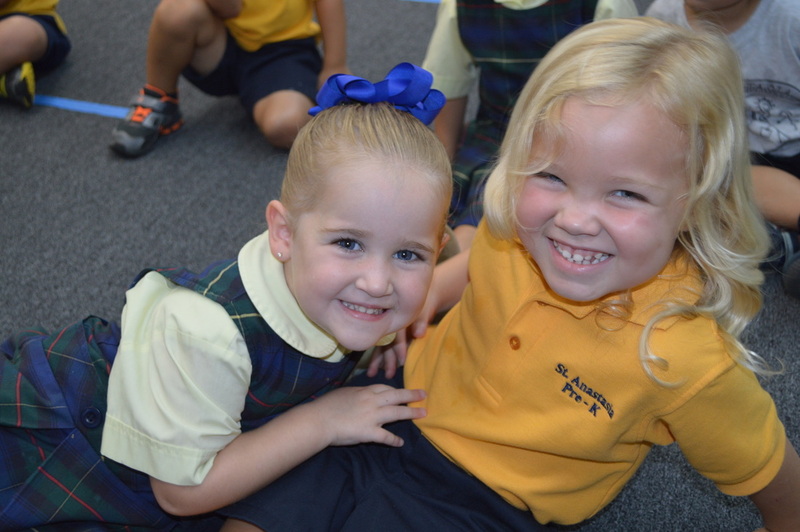 As they learn about themselves and their surroundings, as well as God's gifts, they develop a caring attitude towards others. 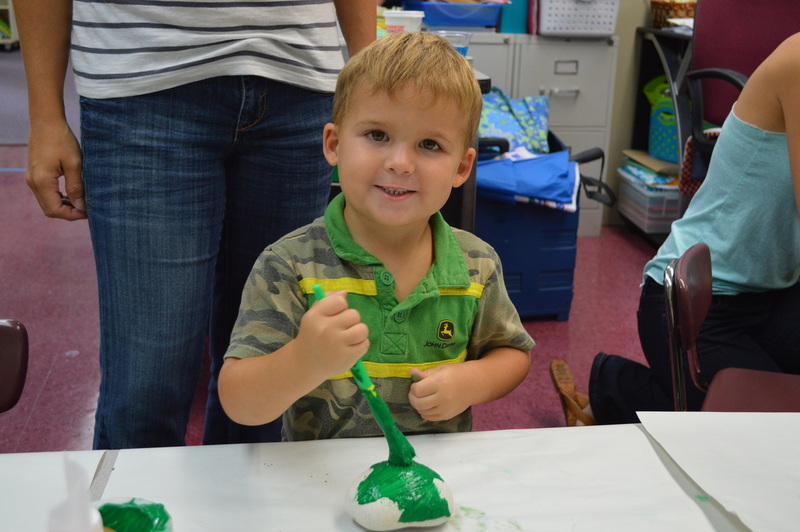 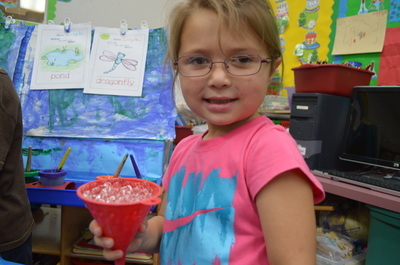 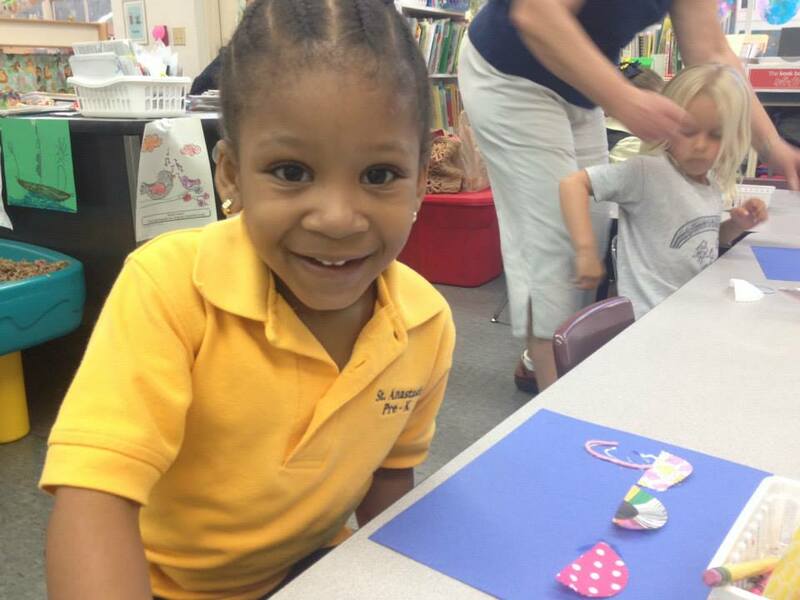 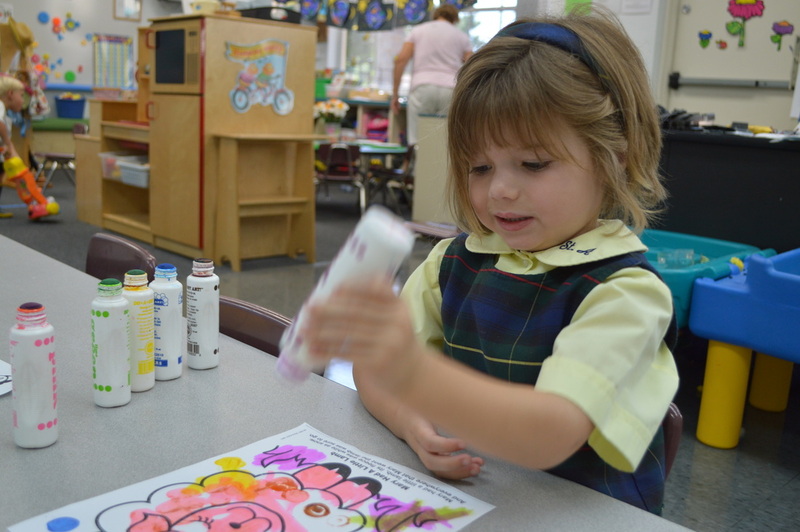 St. Anastasia's Pre-K Program focuses on enabling children to discover their world through sensory experiences. 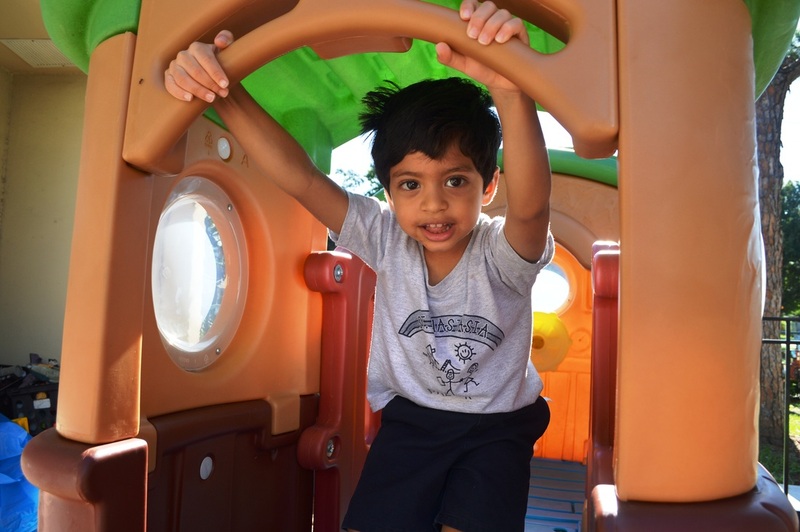 The children learn through activities related to seeing, hearing, smelling, tasting, touching, manipulating and climbing. Our young children are given opportunities to explore inside and outside and to work alone and in small groups. 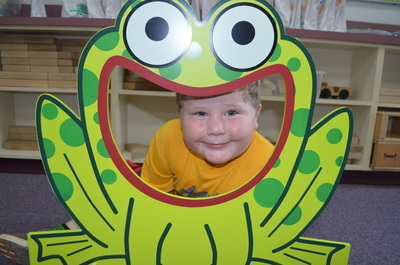 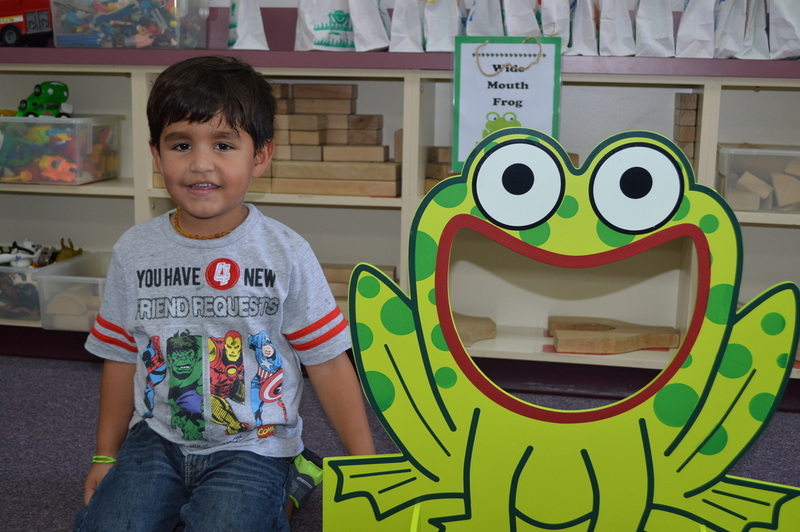 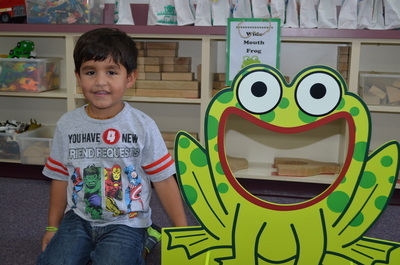 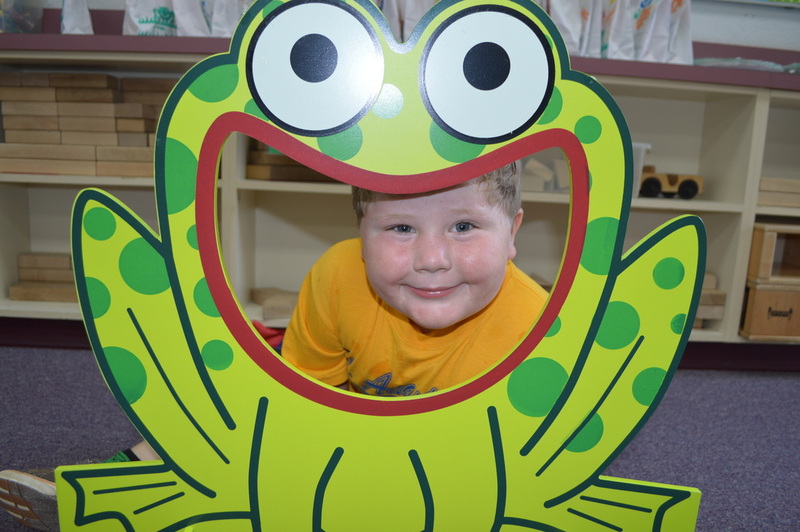 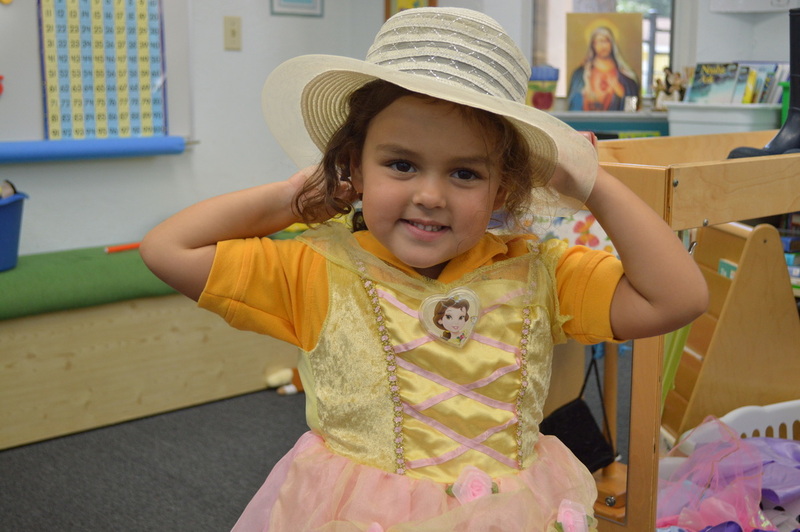 The Vincent and Lillian Guettler Early Childhood Learning Center (Pre-K) curriculum is developed within an active learning environment with emphasis on religious experiences, language arts, problem solving and positive social behavior. 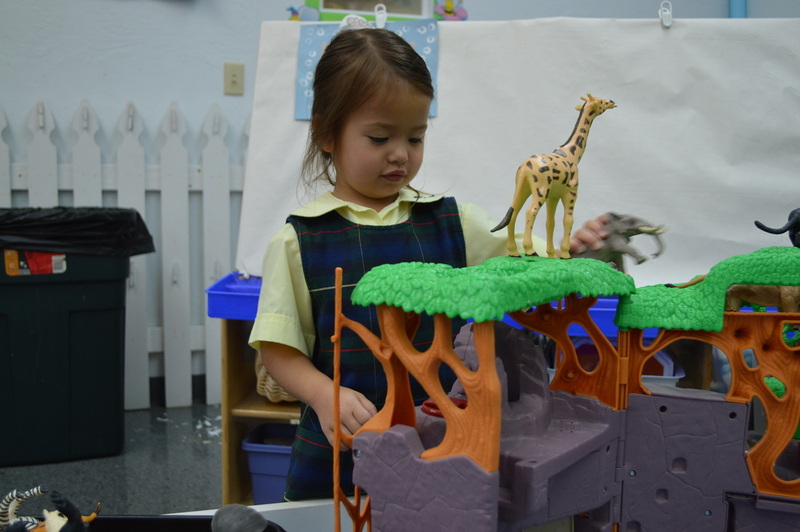 The curriculum utilizes and supports our pre-schooler's need to explore and discover, while challenging each child to become a critical thinker. 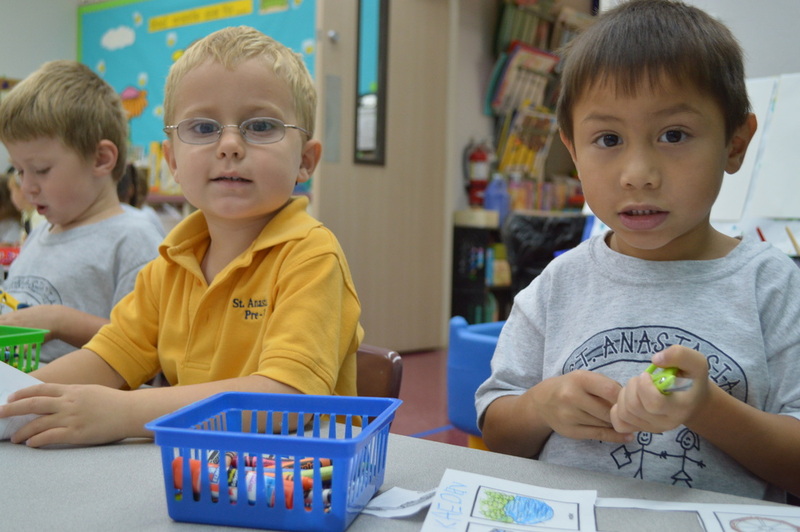 A consistent daily routine includes the "plan-do-review" process, small group time and large group time. Children have time to express and follow through on their daily goals and intentions, while small and large group time is used for developmeing letter recognition, phonemic awareness, rhymes, songs, number concepts and pre-writing skills. 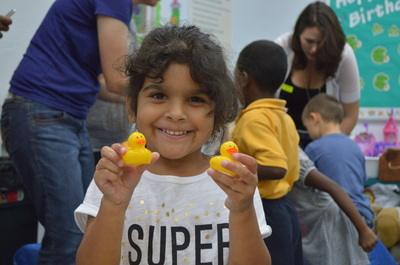 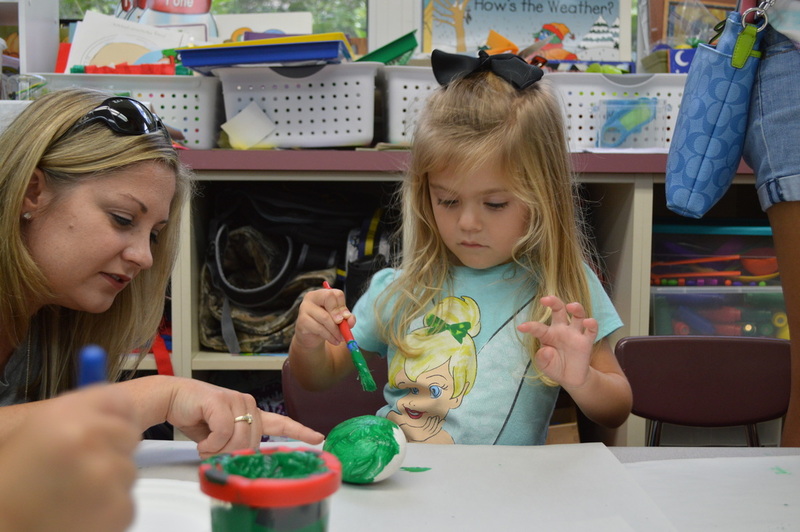 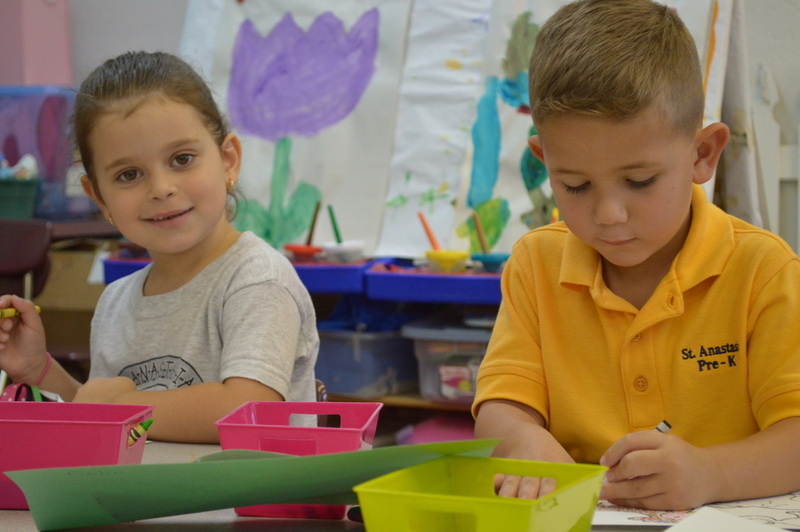 Our Pre-K enviornment provides all the ingredients for learning along with support from a team of highly qualified teachers, assistant teachers and administration. 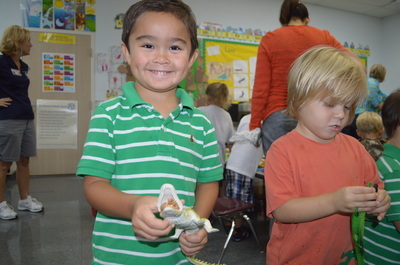 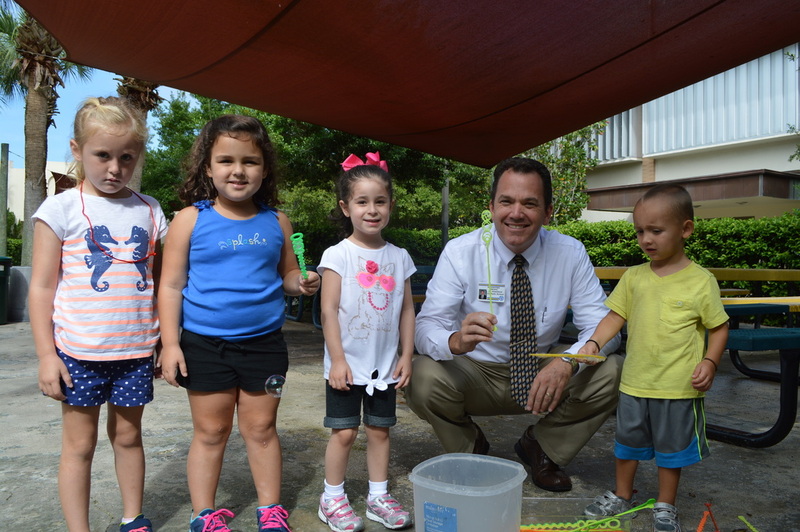 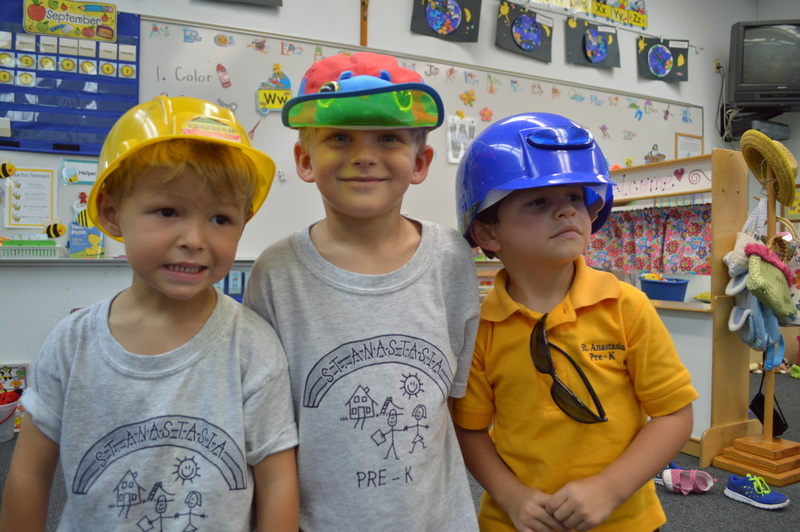 St. Anastasia Catholic School is a Voluntary Prekindergarten Program (VPK) provider. 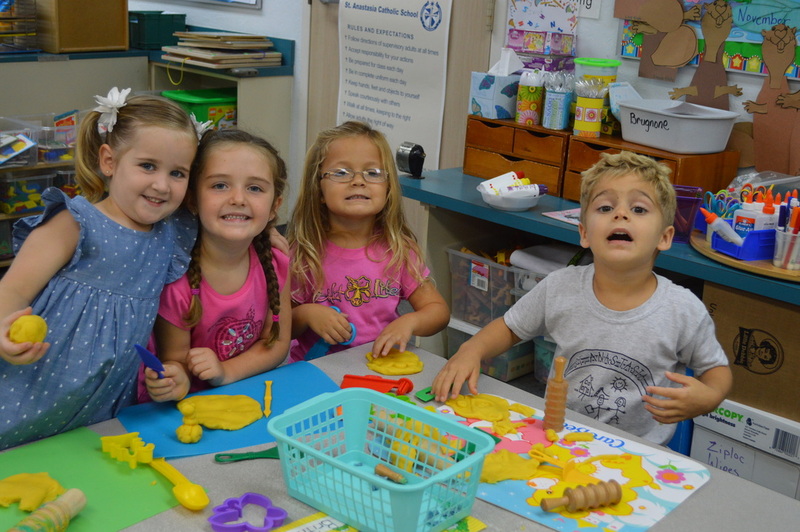 The qualifications for free VPK are that you must live in the state of Florida and your child must turn four years of age by Sept. 1. 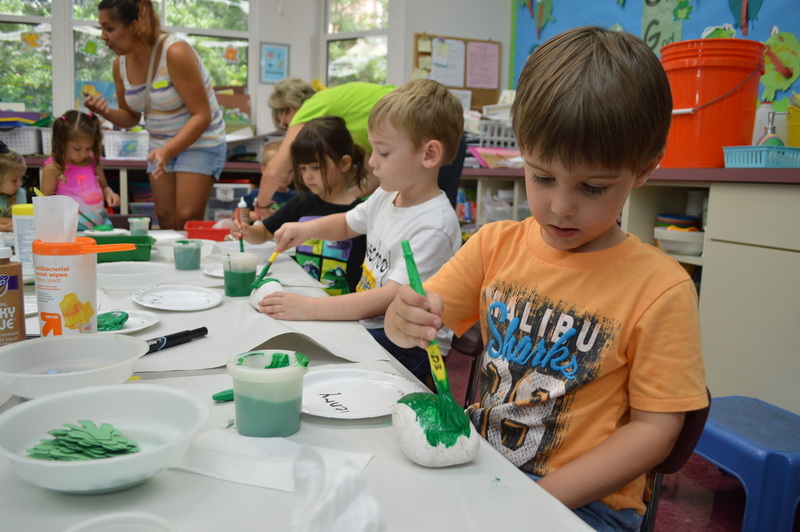 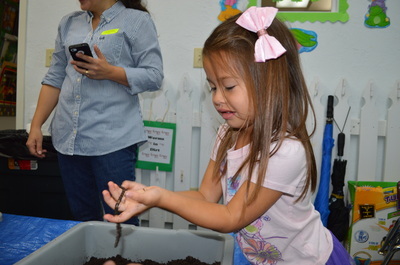 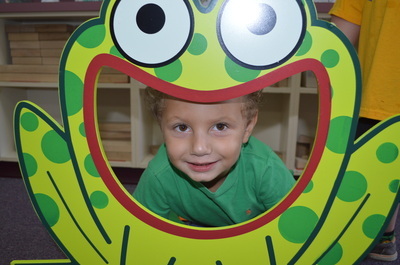 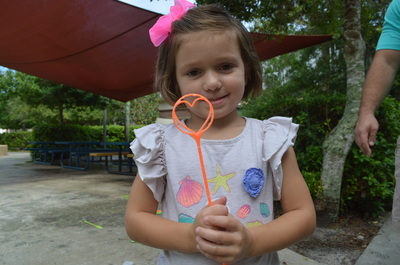 This program is administered by the Early Learning Coalition of St. Lucie County. 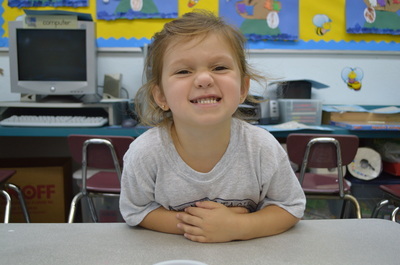 Applications may be filled out online at www.elcslc.org. 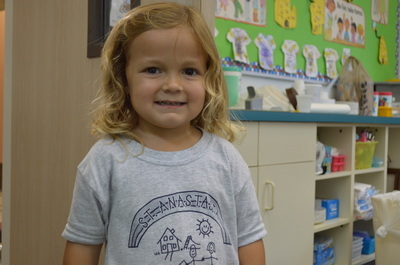 Our Pre-K program offers extended care for children enrolled in St. Anastasia from 7:15-8 a.m., and from 3-5:30 p.m. each day that school is in session. Inside and outside activities are provided during this time. St. Anastasia offers a hot lunch option on a daily basis provided by an on-campus staffing from Big Apple Pizza. Two healthy snacks are provided during the day. Students applying for the three-year-old program must be 3 on or before September 1 of the school year for which they are registering. Students applying for the four-year-old program must be 4 on or before September 1 of the school year for which they are registering. Children must be potty trained. 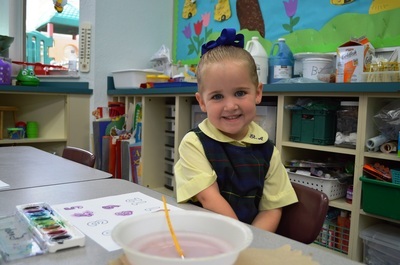 For additional details on admissions, registration and tuition, please click here.